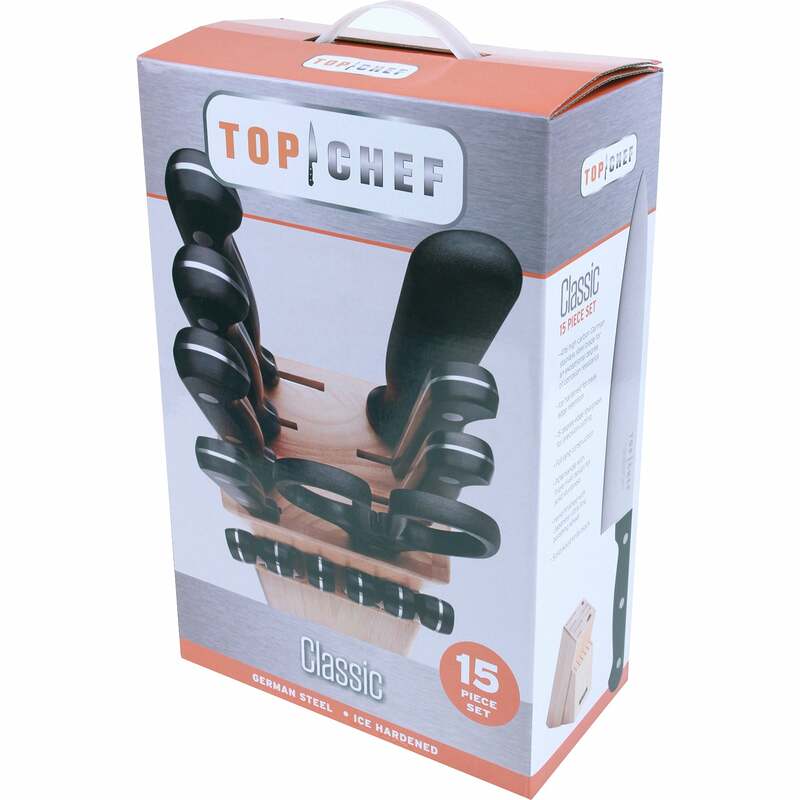 Create your own TOP CHEF® experience at home! 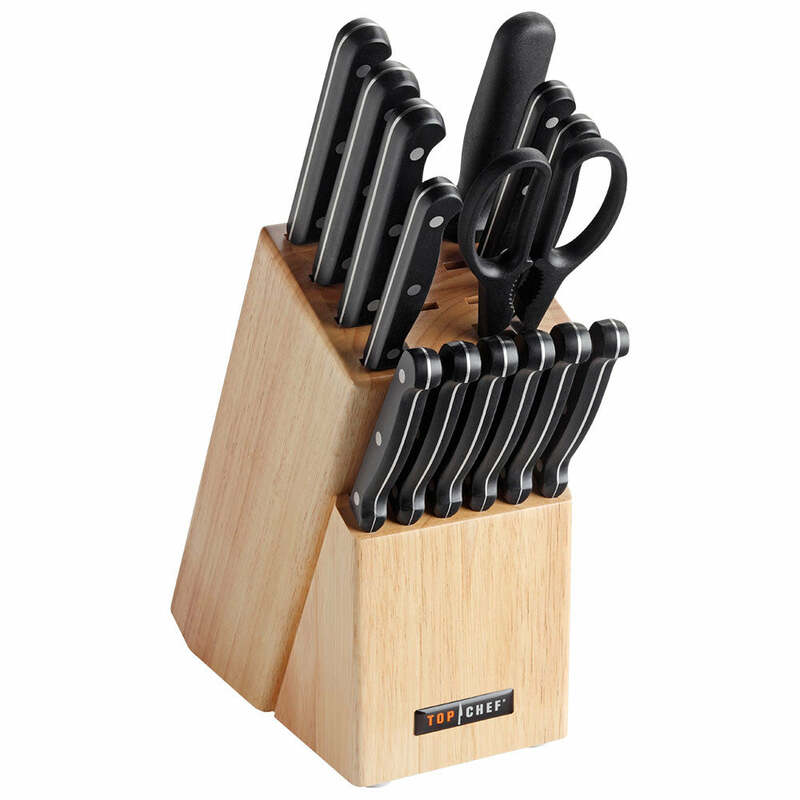 TOP CHEF® Cutlery, the officially licensed knives from Bravo’s Emmy® Award winning No. 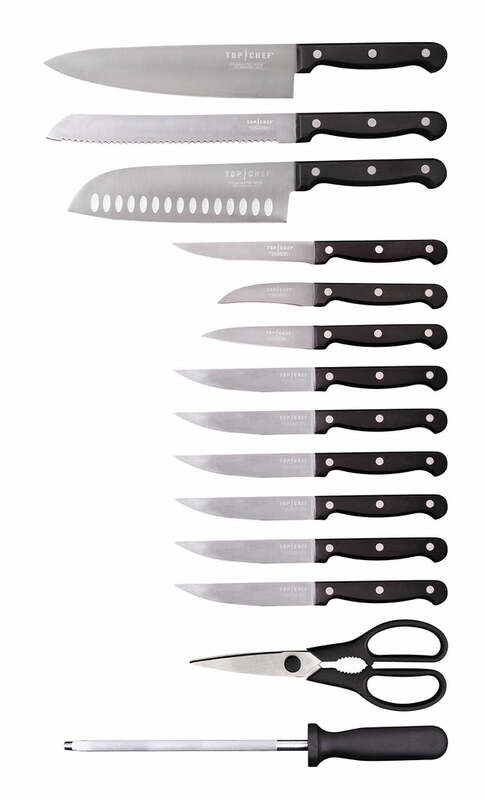 1 food show on cable delivers high quality, professional grade knives for foodie fans to test their own skills at home. 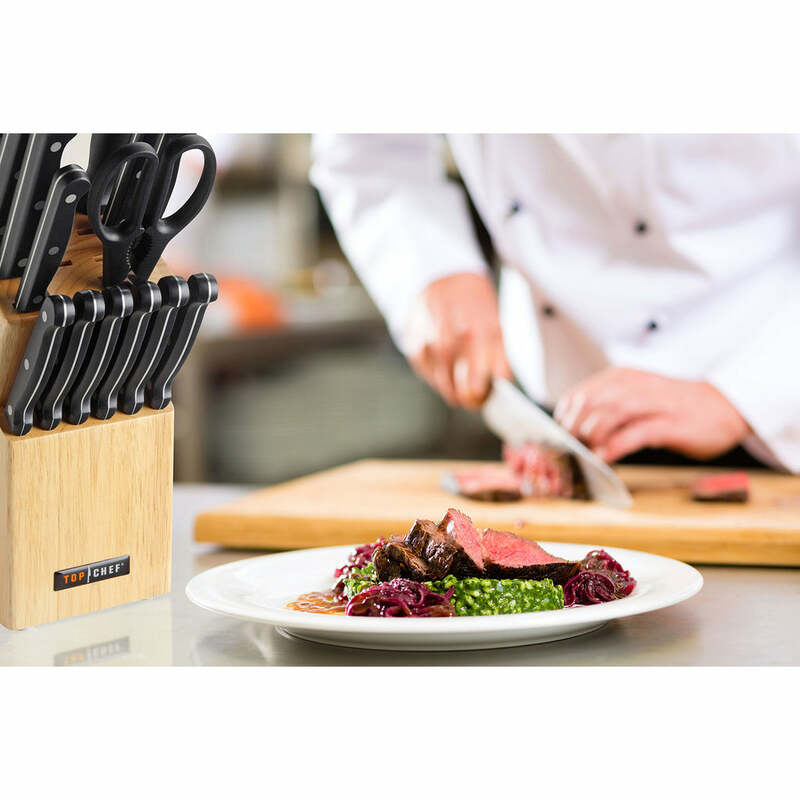 Each high quality, ice tempered, German stainless steel blade has exceptional corrosion resistance, peak edge retention for precision cutting and have been hand finished with an ultra-fine Japanese polishing wheel. 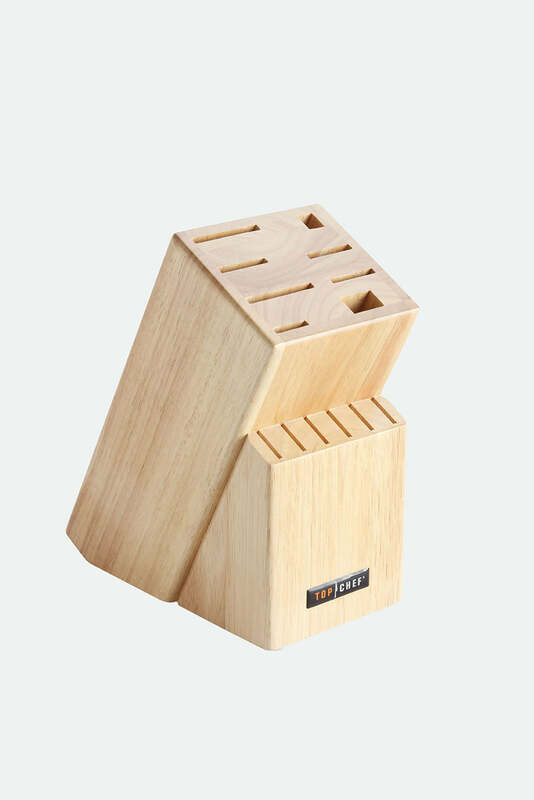 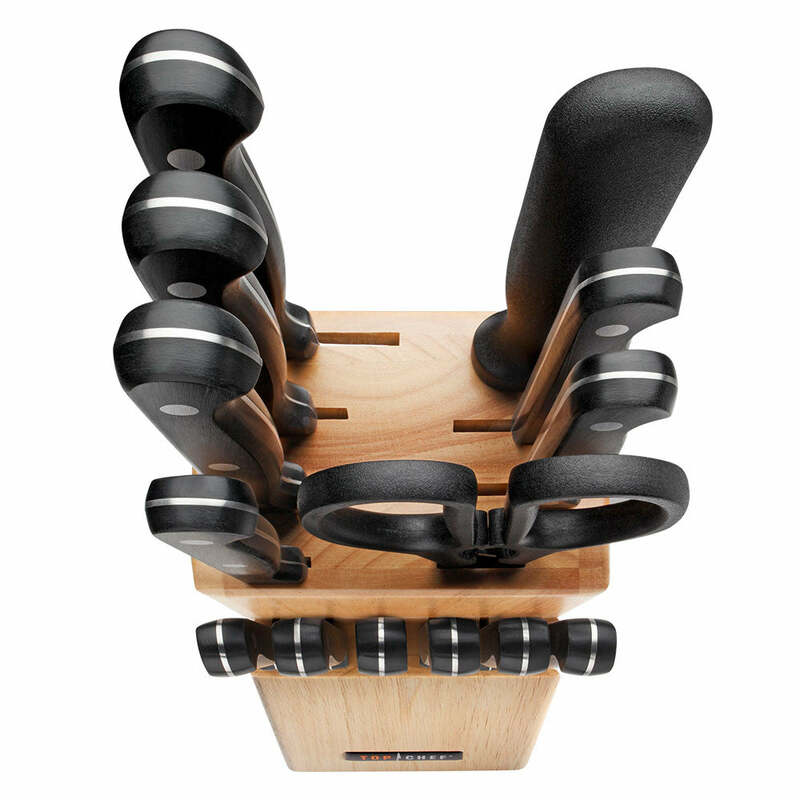 Additionally, the triple riveted handle offers a sure and comfortable grip. 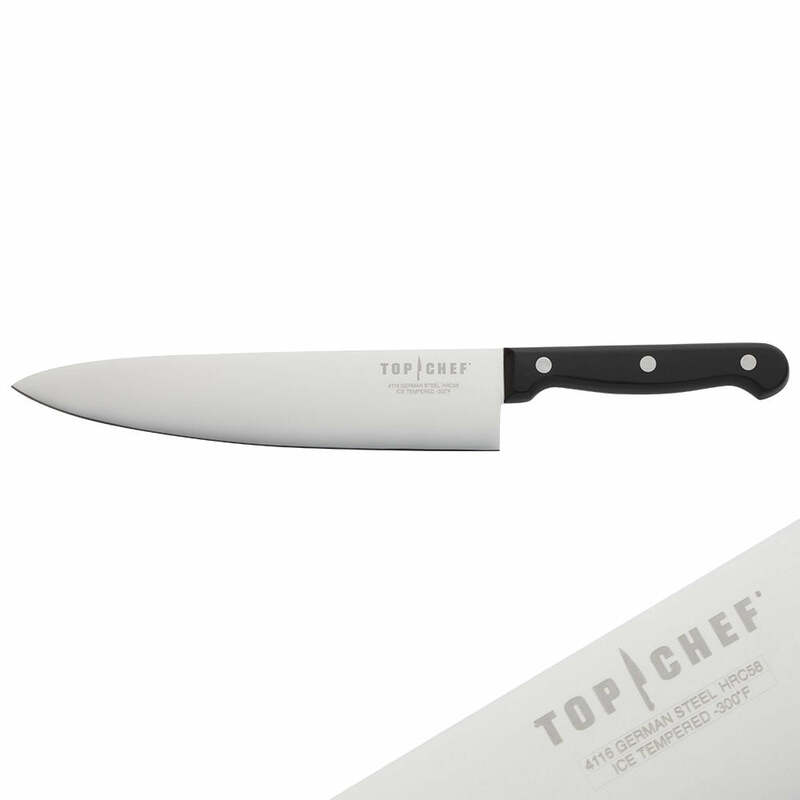 Tackle your own at home Quickfires, and bring innovation, ​ease, and style to your kitchen with TOP CHEF® Cutlery.